Welcome to UCOL palmerston North we take health and safety very seriously please read the following notes and answer all the questions. Chef Hayden is the Health and safety officer in block 9 click on the link below to email any concerns you may notice or have in block 9 about health and safety. Hazards are any things that have the potential to cause injury, death or illness in the workplace. A hazard can arise from within the workplace or outside the workplace; it can be occasional, periodic or ever-present; it can be a process, event or activity​. OSH requires all workplaces to conform to New Zealand health and safety standards and codes of practice as set out in the Health and Safety in Employment Act 1992. Failure to comply with the standards may result in legal action. Provide and maintain a safe work environment for workers. Provide and maintain facilities for the safety and health of employees at work. Ensure that machinery and equipment in the workplace are set up and maintained to be safe for workers. Ensure that workers are not exposed to hazards at work. Have procedures for dealing with emergencies that may happen at work. Inform workers of emergency procedures and location of safety equipment. Inform workers of potential hazards and how to prevent them. Provide training or supervision in safe work practice. 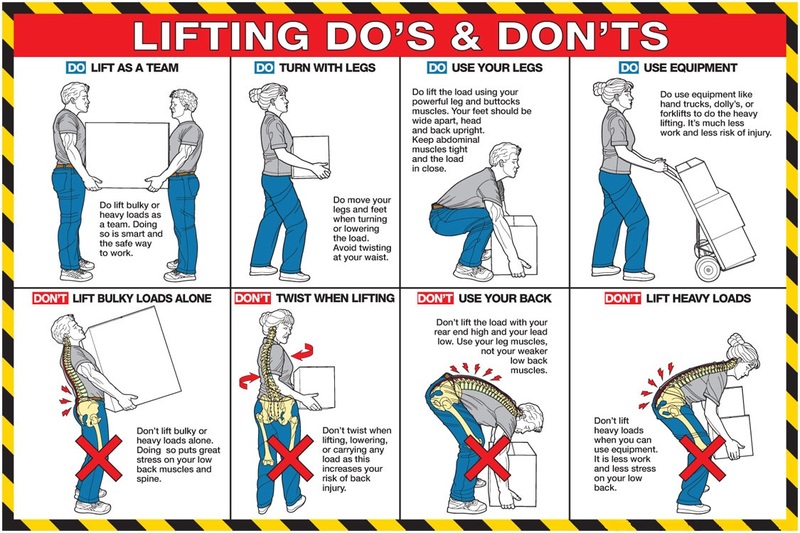 Act in a safe manner in the workplace. Follow safety procedures for use of equipment. Take responsibility for the safety of co-workers. Do not misuse safety equipment. Ensure that injured people receive the right health care. The ACC covers the cost of insurance for work-related injuries from insurance premiums that are paid by employers and self-employed peoples. 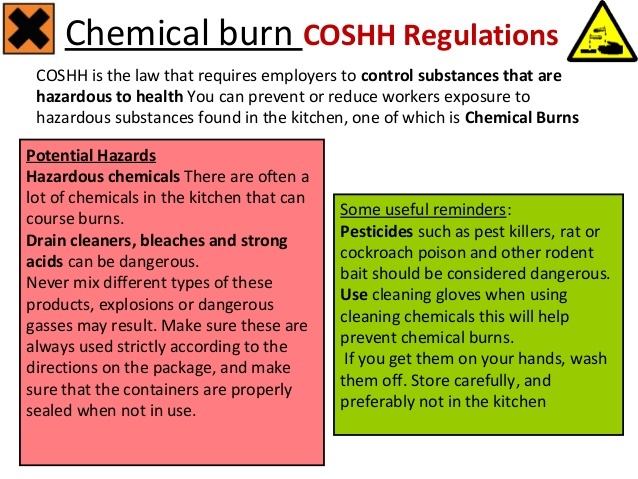 This information is useful for ACC claims and also to who up workplace hazards that need addressing. All serious accidents must be reported to OSH. This is to ensure the hazard is eliminated, isolated or minimised and that the hazard is assessed in regards to its seriousness and appropriate action is taken to avoid it happening again. What are the main points that must be included on a incident and accident report form? Date,time and description of accident and the witness and persons involved. Date of accident, how much time you will need off work. To strive to maintain safe campus environments that promote the well-being and health of all employees and students to facilitate teaching and learning and the fulfilment of UCOL’s educational mission. Students and staff who are under the influence of alcohol (on campus or other associated activities) may create a hazard to themselves and others. UCOL acknowledges that the use of alcohol is an accepted part of social interaction and behaviour in New Zealand. However, due to the points above, the use of alcohol must be subject to reasonable constraints. This policy applies to all UCOL campuses. All staff and students are responsible for implementing this policy. 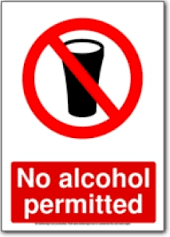 Students thought to be deleteriously affected by alcohol shall be excluded from class by the tutor/lecturer. The student may be suspended from further attendance until UCOL has investigated, heard the student’s view and decided the matter. UCOL may cancel the enrolment of the student at UCOL having regard to all the relevant circumstances on the grounds that the student concerned has been guilty of misconduct or a breach of discipline. The consumption of alcohol by persons on campus or on UCOL activities will, in all circumstances, recognize the rights of others and the principles of host responsibility will be observed. Appropriate education on campus on the subject of alcohol use and abuse will be provided as resources permit. The laws of New Zealand governing the sale of alcohol will be observed at all times. The sale of alcohol on campus will be conducted only in accordance with licences currently in force on the campus. At all functions, non-alcoholic drinks must be made readily available. To maintain safe campus environments that promotes the well-being and health of all employees and students to facilitate teaching and learning and the fulfilment of UCOL’s educational mission. UCOL recognizes that the abuse of any drug may have immediate and unpredictable consequences or cause the subtle, long-term deterioration of one’s health, and that work or scholarly performance can be impaired as a result. The safety of the campus community can also be affected. 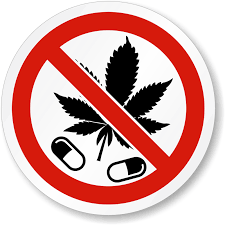 UCOL declares all of its campuses drug-free. The illegal manufacture, distribution, dispensation, possession, sale and use of illicit drugs and controlled substances from all UCOL campuses/properties and at all UCOL activities. UCOL requires that all students and staff comply with the laws of New Zealand. Any student on campus or at any UCOL activity thought to be deleteriously affected by drugs shall be excluded from class by the tutor/lecturer and be suspended from further attendance until UCOL has investigated, heard the student(s) view and decided the matter. UCOL may cancel the enrolment of the student at UCOL having regard to all the relevant circumstances on the grounds that the student has been guilty of misconduct or a breach of discipline. UCOL may, at its sole discretion, report the matter to the Police in order to maintain the well-being of students at UCOL. When dealing with the Police, students have the right to remain silent and to contact a lawyer to represent them. If Police invoke search powers, students must give the Police their name, address, date of birth and occupation but otherwise have the right to remain silent. We expect you to wear neat and tidy dress at all times. 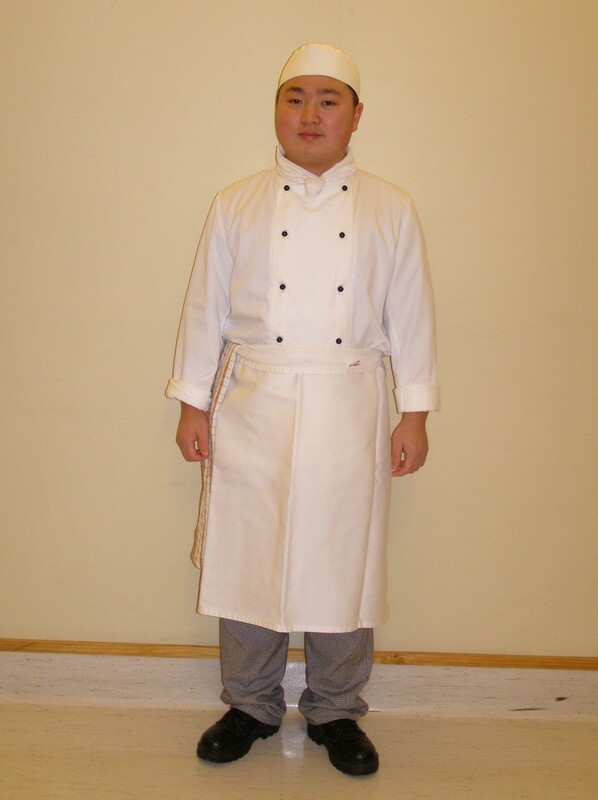 In the kitchen and in the restaurant you are required to wear your uniform which should be clean and ironed. There is an iron located on the first floor of block 9. Remember –you are studying for a career in the hospitality industry where appearance and appropriate behaviour are some of the most important skills you can have. Please be in the correct full uniform waiting outside the kitchen door 15 minutes before class. Safety signs are used widely to alert workers and visitors to a slippery surface or prevent them from entering dangerous areas. Signs are usually bold and brightly coloured to attract attention and can have bold text or simply pictures to alert people. These signs are designed to support a health and safety regime. Disposable gloves worn when handling chemicals or contaminated products e.g. soiled towels, blood stained linen. Goggles should be worn to protect the eyes when using harsh cleaners e.g. fat degreasers when cleaning ovens or gueridon. Meshed gloves can be worn when deboning meat. Aprons are worn to protect against splashes of chemicals or hot fat or liquids. Rubber boots protect feet against cleaning chemicals and water. Uniform protects against burns etc. and is designed to allow for rapid removal e.g. chef’s jacket buttons allow for simple pull off in case hot liquid being spilled over the chest. Boots are non-slip and provide support as task or job requires extended standing. NO personal alcohol on the campus. Cellphones must be turned off during class. NO illegal drugs on the campus. NO smoking at all on UCOL property. You are a team member and should respect each other's opinion and spoken word. Language to be kept socially and culturally acceptable. You are responsible for keeping the kitchen and restaurant clean and tidy at all times as this is part of your training and you will be assessed on it (Unit 167 - food safety). Make sure that your knives, books and clothing are named and locked away when not in use. Lockers are your personal responsibility. Any lost property is your responsibility and UCOL will not be liable for any loss. There is a lost property box in the office in Block 9. Facial piercing must be removed or covered before class in the kitchen. All outdoor areas on site. Vehicles owned, leased or used for work purposes by UCOL. UCOL recognises the dangers to health associated with both active and passive smoking and the right for its staff, students and visitors to be free from the dangers of passive smoking. In New Zealand, smoking-related illnesses are a significant health concern and cause of mortality. Many of these deaths are a result of passive smoking. A smoke free campus reflects UCOL’s commitment to provide a positive and healthy learning environment. Store chemicals in a dedicated, lockable storeroom, out of sunlight. Identify the features of the item to be lifted incl. weight, dimensions, temperature. In the kitchen we recycle so please use the green bin Pig food goes in the white buckets. The three methods which can be used to extinguish a fire. a) Smothering - Oxygen must be excluded (cut‐off the air supply), this is achieved by using sand, earth, foam, CO2 and dry chemical powder. b) Cooling - The temperature of the burning substances must be reduced below the ignition temperature by the application of cooling agents such as water. c) Starving - By removing the fuel (flammable material) on fire. Emergency evacuation routes must remain tidy and free from obstacles. 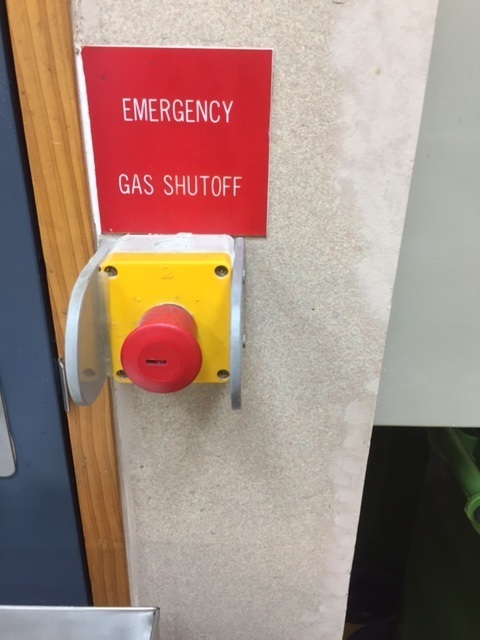 Students must not place or store equipment so that it blocks exits or evacuation routes or immediate access to fire alarms, fire equipment or electrical switchgear. Electrical faults e.g. broken or brittle leads leading to contact of wires, incorrect wiring, overloading power points by plugging in too much equipment, using equipment incorrectly e.g. vacuum cleaner being dragged and cord getting snagged. Gas leaks through damaged pipes, connectors or old equipment without automatic shut off. Gas can build up if not ignited properly and then combust quickly or explode. Smoking at the premises can also cause fires due to incorrect extinguishing of cigarettes, matches or lighters. Smoking should be restricted and may be legislated and ash trays supplied. Hot liquids can also ignite e.g. fat splashes on a solid top, deep-fry compounds or liquid chemicals or cleaning agents. Equipment and tools using a naked flame such as oven pilot lights which may be blown out by the wind, not shut off and then cause gas build up. Other equipment would be a gas gun used for glazing items such as crème brûlée. The value of routine checking that electrical equipment, gas taps etc are turned off, and that doors to rooms and staircase are closed, cannot be overemphasised. You are reminded that smoking is not permitted on UCOL premises including entrance foyers. Warn other people in the building about the fire. If there is time, turn off gas, electricity and ventilation fans and shut any open windows. Follow the evacuation procedure . report if the person is suffering from: a heart attack, has collasped etc. In Block 9 we have a heart start defibrillator located at the bottom of the stairs on the back wall. Please watch the following video on how to use it. Please see a class lecturer if an injury occurs. A chef has been slicing ham in your kitchen when the knife slips and they cut their hand badly. How are you going to clean this and describe how you would stop the bleeding? A position in which all unconscious casualty’s who are breathing may be placed to protect the airway. The casualty is rolled onto the side; fluids can drain from the mouth and tongue will not fall back and obstruct the airway. Some casualties are also managed in this position. The recovery position should not be used for an unconscious casualty where a neck or spinal injury is suspected. To protect the airway the casualty should be “log-rolled” onto their side. The casualty's response is a measure of their Level of Consciousness. using the Shout & Tap method. Talks and responds to questions e.g. What town are you in? to the organs (brain, heart, lungs etc). Shock requires immediate medical treatment. The onset of an anaphylactic reaction varies from seconds to many minutes following exposure to the allergen. In general the longer it takes for the reaction to occur, the less likelihood there is the reaction will be life threatening. Someone in the restaurant has just eaten fish and they tell you that they have had allergic reaction before when eating it. What are the signs and symptoms of an allergic reaction? With all bleeding the aim of first aid is to stem the flow of blood and minimise the risk of the wound becoming infected. • Take all necessary precautions to avoid the risk of cross infection. Which one of the following is the appropriate type of dressing to cover up minor cuts when working in a kitchen? If the casualty is still in contact with the live line or equipment, break the contact before attempting any form of treatment. Poisons are substances that cause injury, illness or death. Poisons can be injected, inhaled or swallowed. • Dial 111 for ambulance. • Try and identify the poison if possible and how much was taken. Ring Poisons Centre (if poison known). • Do not induce vomiting unless advised by doctor etc. Fainting occurs due to decreased blood supply to brain. It is usually very brief and may or may not have medical significance.